Sea Fishing, as with all of the angling disciplines, wouldn’t be possible without a full selection of terminal tackle. Terminal tackle really is the business end of the fishing experience, and without the right kit you may of well have not shown up to the beach or boat. Hooks are a major aspect of terminal tackle, as without hooks you’re never going to catch a fish. 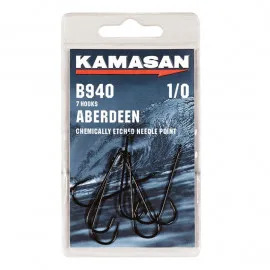 Angling Direct stocks specialist sea hooks, from brands such as Kamasan, to ensure they can withstand the highly corrosive nature of saltwater. We also stock a range of pre-tied rigs, with are perfect for those anglers who have less experience with knots and don’t want to risk loosing out on a major catch because of a dodgy knot. 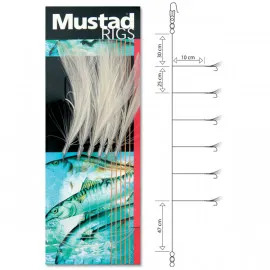 They are also great for busy anglers who don’t have to time to make their own precision rigs, and want to spend as much of their time by the sea fishing as possible. 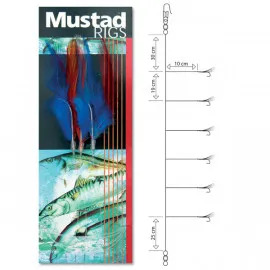 As with the hooks, these pre-tied rigs are precision pieces from expert brands such as Sonik and Mustad, and all the rigs you see on our sea fishing terminal tackle page are made from materials designed to hold up against the corrosive salt water. 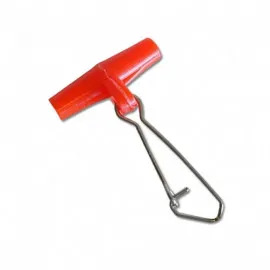 These are just the tip of the iceberg in terms of the terminal tackle we stock for sea fishing, and you can find all manner of essentials from split rings to leads, and from swivels to booms. Our full range of sea fishing terminal tackle is here for you to browse through at your leisure. Angling Direct aims to ease the process for both new anglers who are starting out in sea fishing and seasoned professionals looking to re-vamp their tackle box alike. Our Sea Fishing Essentials Pack features a selection of all the best terminal tackle products we stock: from old favourites to new pieces that are taking both our avid sea anglers and the market by storm. Our Sea Essentials Pack features terminal tackle from the likes of Sakuma, Ian Golds, Breakaway, and Gemini, to name just a few of the fantastic brands that we regularly feature in our packs. 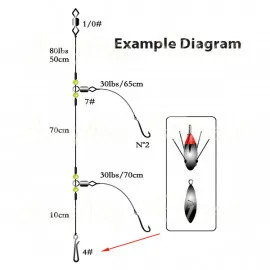 If you require any more information about any of the sea fishing terminal tackle that we stock, or simply have a query about the ordering process, our customer services team are here to help! They have their own dedicated webpage, which can be found by clicking the customer services tab on the top left of the page, where you can see all their contact information and operating hours.